White light is the space within the universe where positive energies are stored. 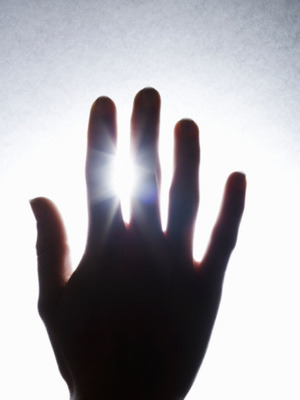 White light can be called upon by anyone (healers, empaths, and you too!) for protection from negative energies or wonky vibrations. White light cannot be used to harm, nor can it be harmed in any way. For this reason, negative or “dirty” energies can be sent to the white light for purification and transformation. The experience of the clear white light is a mystical vision seen with the mind’s eye as vividly as one would see with the physical eyes. We are always seeing light with the third eye in some degree. Close your eyes and envision a large tree standing alone upon a hill covered with flowers bursting out of lush green grass in the field around. Imagine the scene taking place on a sunny day; the clear crisp air in the high altitude brings forth the images distinctly. Put a cloud in the sky for contrast. The light you have been seeing, as you have been creating these suggested images, one at a time, with your thoughts inspired by what you have been reading, is the inner light flooding through the external mind. Remove the cloud from the picture – the flowers, the grass, and the tree. Inner light alone would remain. This inner light intensified one thousand times would be called “the clear white light”.